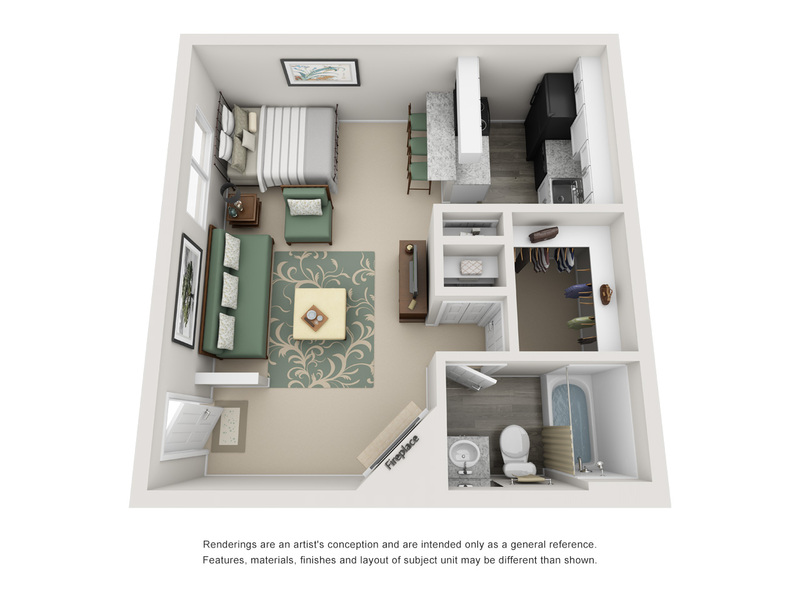 The newly renovated Bella Terra Apartment Homes offers well appointed studio, one and two-bedroom floor plans. 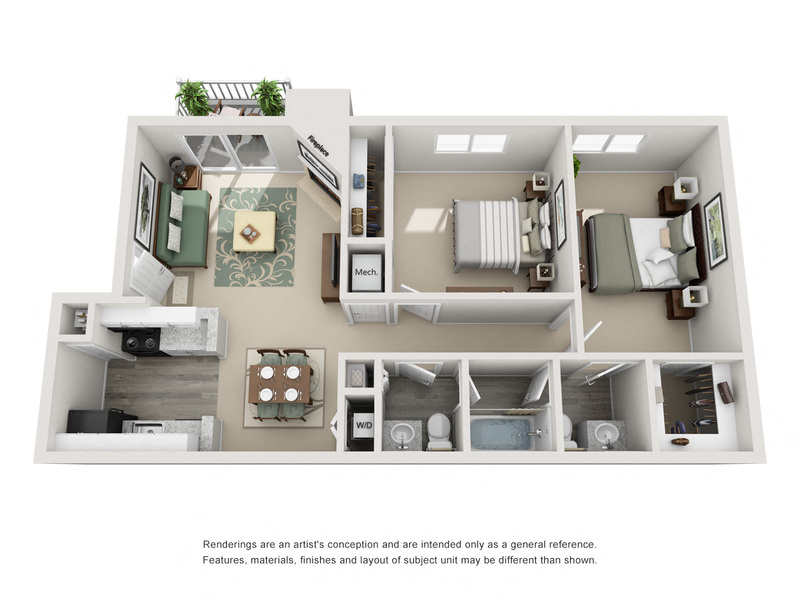 Apartment homes feature updated kitchens with new cabinets, granite-style countertops, modern black appliances, brushed nickel plumbing, hardware and lighting, hardwood-style floors, plush carpet, walk-in closets, cozy fireplaces and a spacious balcony or patio. 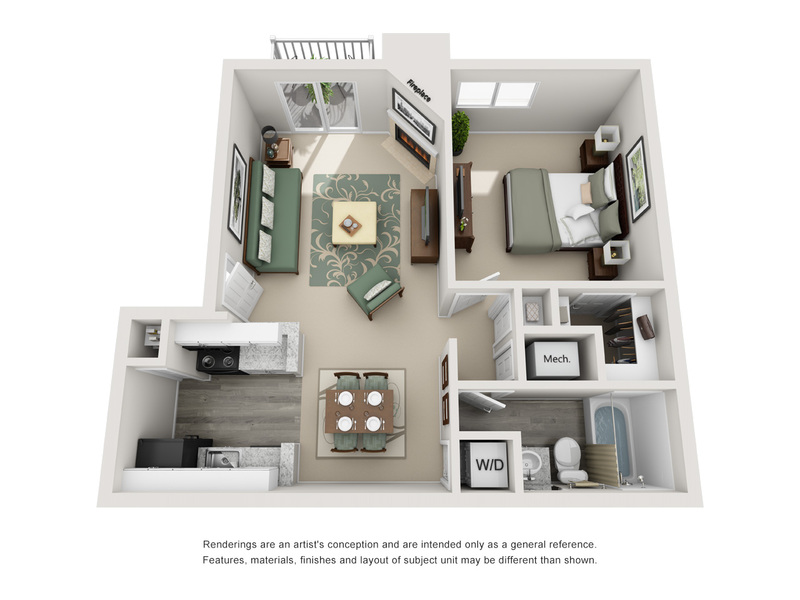 Select floor plans also include vaulted ceilings or skylights.